Imagine the scene. You’ve returned to the car park outside your local shopping centre only to find another five-dozen identical Audi R8 Coupes parked around your own Ingolstadt supercar. How do you find out which one is yours? 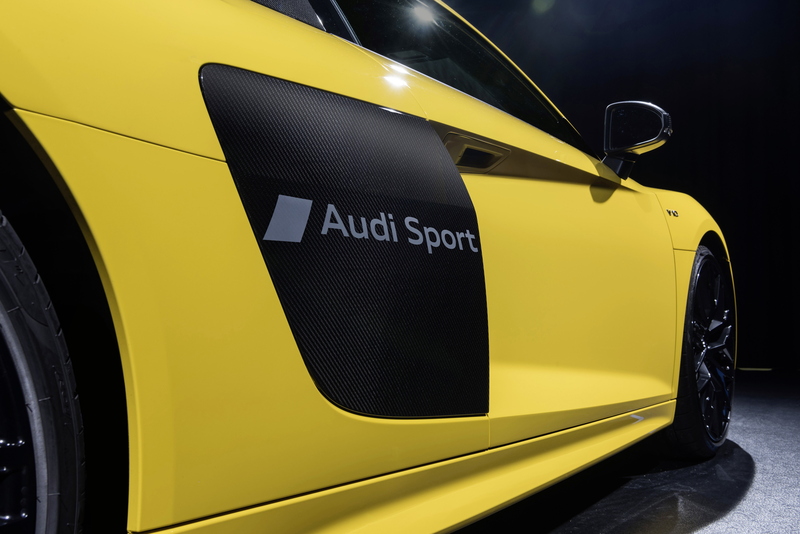 Well, thanks to a new technique dreamed up by the bods at Audi’s exclusive programme, you can now have virtually any wording or graphic blasted into the side of your R8 Coupe or Spyder’s sideblades, the ultimate in automotive personalisation. That’s right, you can tag your Audi R8. The process involves using a special powder to remove a few thousandths of a millimetre (yep, we can’t picture something that small either) from the sideblades’ clear lacquer coating. As long as your desired design doesn’t infringe any third-party rights, you can have pretty much whatever you want emblazoned across your R8’s sideblades and Audi says that it will roll out the personalisation technique across the rest of its range “in the future”. In the meantime, share your automotive tattoo ideas with us on Twitter at @flatoutmag.